If you think traditional boat building has its challenges, you don’t have to look any further than the 11th Annual Beaufort National BoatBuilding Challenge. It’s an afternoon of fun and competition as the event showcases the art, skill and speed of traditional boat builders. The event takes place on Saturday, May 5, 2018. Eighteen teams of two will get a set of boat plans, a stack of wood and four hours of time to construct a 12-foot Carolina Bateau skiff. Building a boat in four hours has its challenges. As expected, sometimes the results for the participants are unexpected. Some boats get completed and others don’t. Some are truly a work of art and craftsmanship while others are unfinished and may never be completed. Some are held together with fasteners and others have lots of caulking. Some boats float while some teams end up floating in the water. Regardless what happens during the event, there is always a winning team. The first boats are usually completed in about three hours but the current record for constructing a Carolina Bateau was held at the Georgetown, SC competition in 2 Hours 12 minutes! 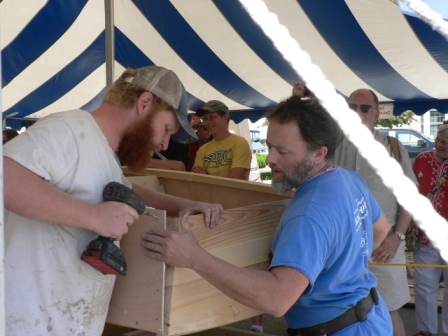 In 2014, a new record was set at the Beaufort National BoatBuilding Challenge. Just because a boat gets constructed first doesn’t mean it’s a winner. The competitors aren’t just awarded points for the fastest time of construction. Speed must be accompanied by craftsmanship for a team to be a winner. Building speed and quality are two of the three factors involved in the scoring. 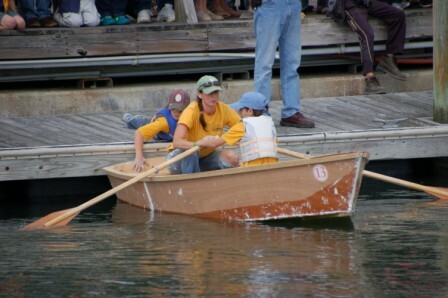 Teams must prove their vessels are seaworthy when their completed boats are then raced in the waters of Taylor’s Creek. Crowds gather along Beaufort’s boardwalk to see the real results of the boat building challenge when the teams compete in the rowing contest. In the end, it all comes down to the best quality boat and the best race time. After all, that’s the tradition of boatbuilding in North Carolina. Once again, there will be an enthusiastic contingent of young boat builders. They will be building and racing in the competition like the adults do, but all their boat parts are pre-cut, and the assembly will be coached by skilled adults. The adult teams compete for the local championship, with winners qualifying for the national title, including several community and college teams. In 2007, the National BoatBuilding Challenge was organized by WoodenBoat magazine as a circuit of regional boatbuilding contests. So far, regional contests have been held in Belfast, ME, Georgetown, SC and Beaufort, NC. 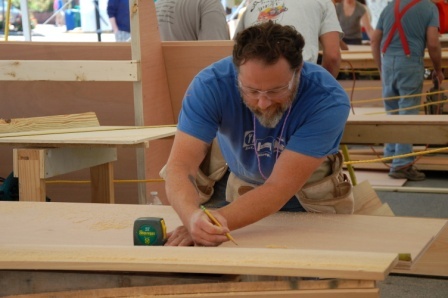 The sponsoring organization for the Beaufort National BoatBuilding Challenge is the North Carolina Boat Building Heritage Foundation whose mission is to preserve the long standing traditions of wooden boat construction in Carteret County and to promote the highly useful carpentry skills needed in boat construction. Net proceeds from the Beaufort National BoatBuilding Challenge are used to provide scholarships to deserving students. This year, full scholarships will be provided to two students to pursue marine studies programs at both Carteret Community College and Cape Fear College.  The 11th Annual Beaufort National BoatBuilding Challenge will be held simultaneously with the 44th Annual Wooden Boat Show which takes place on the Beaufort waterfront at the North Carolina Maritime Museum and the Harvey W. Smith Watercraft Center. For more information or questions to register, visit beaufortchallenge.com. 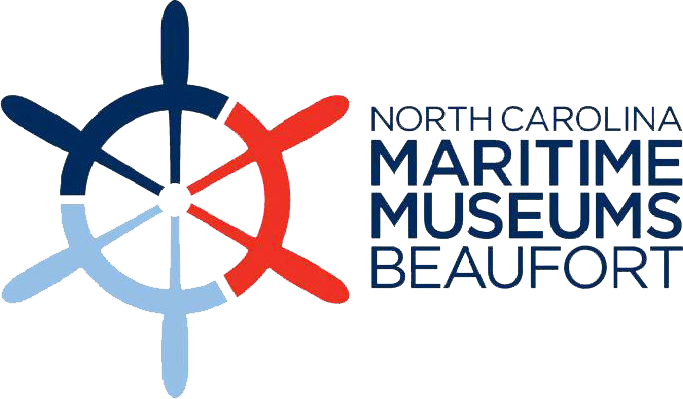 The event is organized by the North Carolina Boat Building Heritage Foundation.